Double sun sunset on Shoreline in Alameda! I was driving down Shoreline this week…and looked to my left. I saw two suns, one on top of the other! I pulled over, took my iPhone but I was too late for that shot…but this is what I did get! BOOMER-CHICK-MUSINGS.COM – my weired take (sometimes) of what is going on out there. This was from a potential buyer at an open house I held at 2745 Young, here in Alameda. “I want my Sundays back!” And anybody who is doing more than looking in this market, knows what she means. It’s not pretty out there as a buyer. Is this a bubble? I just don’t know. If folks buy now, they need to consider staying in that property for a good long time, if this is a bubble. Check the Sellers response below to this multiple offer market in 2012 and 2013. Broker Tour Tuesday! 9 on tour this week. It was great to get a bike ride around 94502 and then 94501. 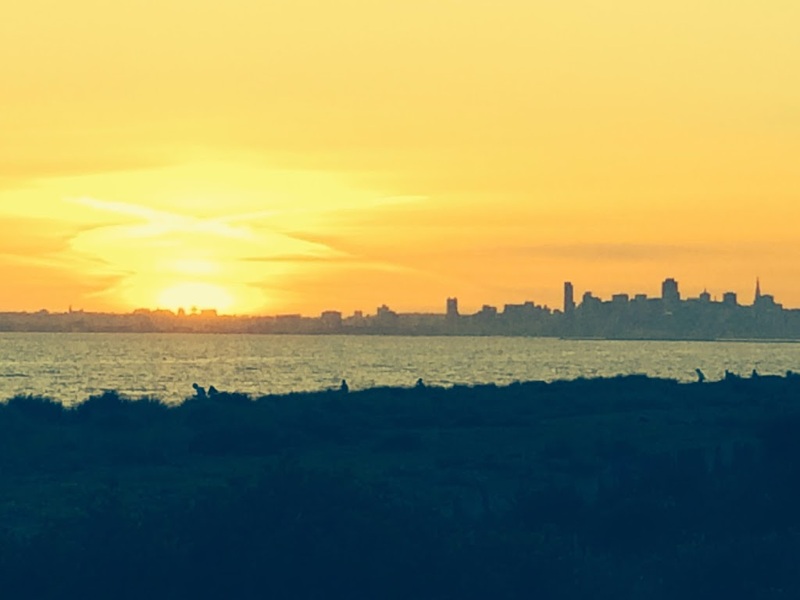 ALAMEDA REAL ESTATE AWARD THIS WEEK…remember this is only my perspective! Winner a nice Harbor Bay lagoon view, as bikers and walkers go by on the path. Wonky one This looks more like a storefront..but it’s a duplex that is wonky. Small. Sitting right on the street. Weird floor plan. But it will sell! That’s a wrap…pictures and a photo say a lot more than words (see both above). I’ll be at 2745 Young this weekend for the 2nd open house…then if there are any, offers will be entertained by the Sellers on Tues. Enjoy your weekend! Claim back your Sundays….even if you are shopping for a house. Change your thoughts and the world will change too! Previous Post Previous post: Is the Window Closing?